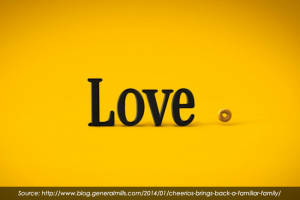 From where I sit, Cheerios is winning at the game of marketing, and has been for quite some time. Their marketing team is clearly not afraid to think outside the box and take risks, but they balance that very well with maintaining the integrity of their brand. When they released the “Just Checking” commercial in May of last year, I was surprised at the firestorm that ensued on social media about the interracial couple and their bi-racial child. While I don’t think Cheerios set out to spark controversy or to make a name for themselves by adding shock value (after all, it was 2013), but what I do love is the fact that they chose to disable comments on the YouTube video after seeing so many negative ones. “The [YouTube] comments that were made were, in our view, not family friendly. And that was really the trigger for us to pull them off…,” said Camille Gibson, Vice President of Marketing. Any marketing expert will tell you that it is unwise to quiet the voice of your consumer in this “raise-your-voices-loud-through-social-media” age, but I agree with the decision in this case. I also love the fact that despite all of the backlash, they chose to continue with this family and air a “follow-up” commercial during (of all events) Super Bowl! Talk about making a statement! And not only did they just stick with the characters (How do you like that, racists? ), but they added another layer by having the parents announce their pregnancy (I bet racists really love that they’re continuing to procreate)! But THEN, the focus shifts AGAIN to the fact that Gracie wants a puppy; she and her family really aren’t all that different. It’s just a typical family conversation around the breakfast table. 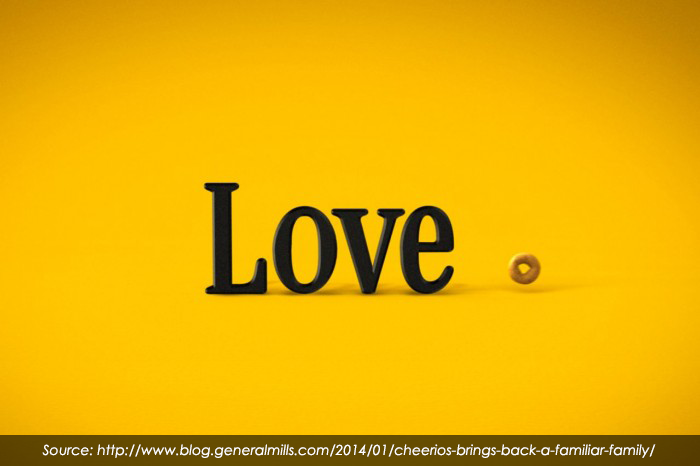 “Cheerios is about families and love and connections — and breakfast.” (Camille Gibson). All of this was done in less than 30 seconds. Chief marketing Officer, Mark Addicks, also weighed in with interesting points the day after the Super Bowl ad aired. Side note: They also do an amazing job with their blog. The very next month (September), they hit the mark again with the series of commercials featuring Nelly. I personally love the 2000 hit song, “Ride Wit Me” (the clean version, anyway), so these commercials were a hit right away with me, but not everyone feels the same. Not too long after Cheerios began airing them, I saw a post on Facebook from a college friend about how tired she was of hearing the song. But I even saw that as a win: The song was stuck in her head, and ultimately, she posted on social media about Cheerios. AND it would probably be safe to assume that if her daughter likes Cheerios, she didn’t stop buying them because of the song. I think Cheerios is on a roll. Kudos to their marketing team!